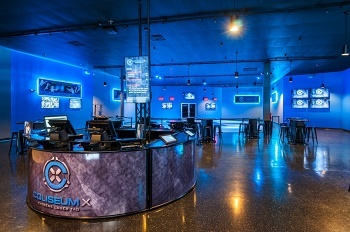 Coliseum X is the largest indoor laser tag in Ohio. The 28,000 sf facility has three different arenas/maps, 7 different weapon choices, and over 25 different mission scenarios. 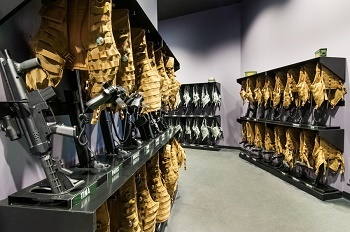 The highest rated laser tag in Columbus, it also has a café and bar, serving great food, beer, wine and liquor. Guests can watch live action on the various live video feeds or keep up to date with sporting events on multiple screens, including our massive projector screen. Coliseum X is designed for guests 8 and older. We enjoy visits from kids and adults, a 50/50 split. Women also comprise 45% of our guests. We are open year-round and only closed on Tuesdays. We routinely host Birthday parties, Bachelor/ette parties, Team Building Events, Youth Group events and camps. Coliseum X also opens for private events. Waivers are required and can be filled out online at our website or on-site at kiosks. Good for open play ONLY, not in conjunction with a group booking.